The truth is you can use other machines to drill concrete holes. But the result can be completely unsatisfactory. A hydraulic core drill can give you the precise hole and circle. The same goes for an electric core drill. Depending on power outages, these machines can be used interchangeably, to produce the results you so ardently desire. Hire the right core drilling service with the right equipment to take care of things. Goes into town to get battery/backup? Finally sets up a circuit that will power your drill? Fires up the hydraulic core drill to do the job without delays? Chances are it’ll be the latter. Why is that? It gets the job done. The point is hydraulic core drills can get the job done faster than electric ones. You need the right equipment to do an awesome job. Your supposed savings won’t be enough to damage your reputation or put people’s lives at risk. Getting the right machines is non-negotiable, if you want an excellent job. Get the right core drilling services, too. MegaSaw has the machines and experts with technical skills set. We do awesome jobs for your drilling projects. 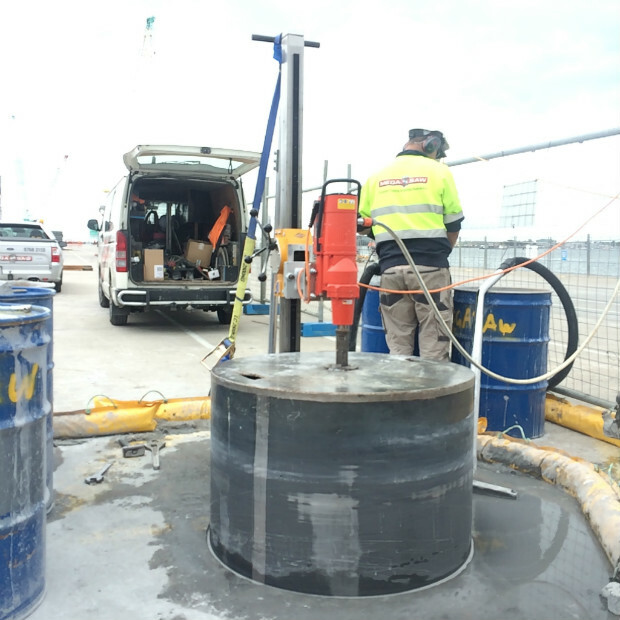 As leading drilling specialists in Melbourne and all of Victoria, we’re the best for your flawless drilling project. Call us now at 1300 920 419 or email us at [email protected] for more information and a no-cost drilling consultation.